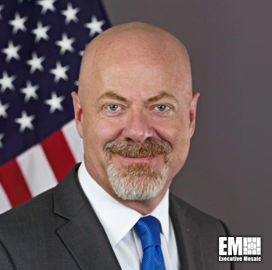 Charles Riddle, chief technology officer at the Securities and Exchange Commission, has been appointed to serve as chief information officer of SEC on an acting basis. He will oversee the agency's IT operations following the departure of Pamela Dyson, who will join Federal Reserve Bank of New York as an executive vice president and head of the technology group and CIO, the SEC said Thursday. Before he joined the commission in 2016, Riddle was CIO of the U.S. Government Publishing Office for five years and held IT roles at the Agriculture Department for six years. His private-sector career has included positions at Booz Allen Hamilton, Cable & Wireless, NETtel Communications and BetterWorld Telecom.